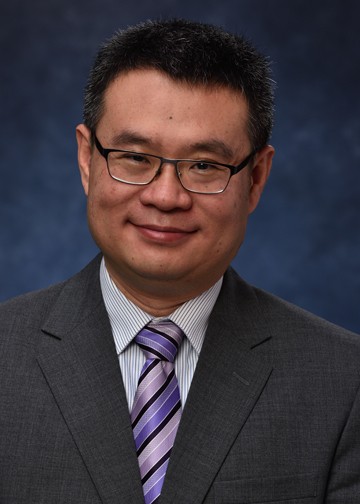 Yiran Chen, associate professor of electrical and computer engineering at Duke University, has been selected to receive a Humboldt Research Fellowship for Experienced Researchers. The Fellowship is designed to support researchers from outside Germany who have received a doctorate degree within the past 12 years to carry out long-term research (6-18 months) at the hosting institution in Germany. The fellowship can be divided up into as many as three stays within three years. Chen will be hosted by Professor Ulf Schlichtmann at Technical University of Munich, and will work on the reliability analysis and improvement of memristor-based neuromorphic computing systems. Memristors are a way of storing information that relies on magnetism, the spin of an electron or the resistance of a nanoscale component. Such technologies offer better scalability, lower power consumption and faster performance. For example, Chen says, you could potentially back up your entire computer in a few milliseconds and have its memory remain reliable for months or years at a time. Neuromorphic computing systems attempt to model the incredibly large and complex parallel processing power of the human brain. If the individual components can change how they connect with each other in response to stimuli, then the computer chip can actually learn from its experiences as an actual neural network does. Chen’s role in this research is to create models and simulations of emerging architectural designs to speed progress toward workable circuits.